If you are looking for vocabulary or spelling worksheets for homeschooling, we have some great options for you. 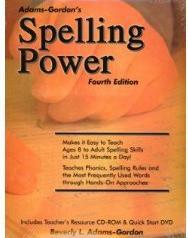 Our favorite resource to teach any child to spell is Spelling Power. The curriculum for all levels consists of an instructional book and word lists of simple to advanced words. It is meant to be taught using the method outlined in the book, but for the price, it is worth it even if you just wanted to use it for the word lists. A good source for some free word lists is found at BigIQKids.com. If you are are using these lists for a homeschooled child, you may need to move up a grade to make the spelling lists a little more challenging especially in the younger grades for early readers. You can also use an online program like Spelling City help kids practice the words that you provide or test on the sample lists that are available here! One of our favorite ways to use this program is use words from whatever curriculum you are using, or from a book your children are reading, or from a story, holiday, historical event or occasion. Using those words, you can create your own word lists to match right on the site. There is no limit to how you can incorporate it’s spelling games into the things that you are already doing. 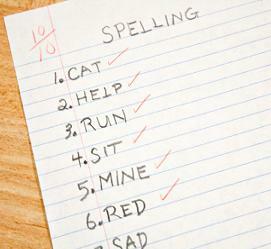 Have a Favorite Curriculum to Teach a Child to Spell?